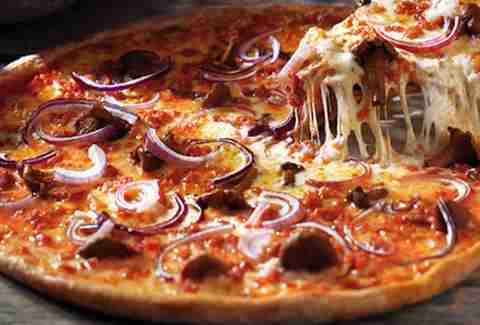 Pizza: Even when it's bad, it's awesome. Interestingly, the same thing applies when you sub out "bad" for "totally goddamn strange and I'm kinda scared now". 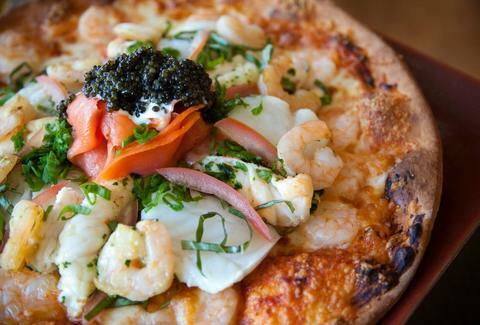 Everyone's seen the crazy seaweed and eel pizzas they've got in Japan, but there are a ton of pies out there that sound even wilder, and are totally the kind of thing we'd eat all the time if the US had universal healthcare. * Here are 10 of the very best: *NOTE: Some of these countries actually do have universal healthcare, and people eat these all the time! See?! In 2005, Italian Prime Minister Silvio Berlusconi visited Finland, and publicly mocked their food. In 2008, Finnish pizza house Kotipizza won the America's Plate international contest as best pizza in the world (the Italians finished second), with this smoked reindeer number. They called it the Berlusconi. You wily Fins. 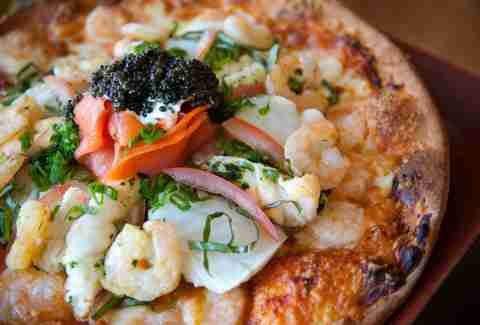 Steveston Pizza in suburban Vancouver's got more ridiculous pizzas than we can fit into one list, but topping 'em all is the the lobster-, black Alaskan cod-, and Russian Osetra caviar-topped C6. It costs 450 loonies. Sydney's Australian Hotel is ready to serve you exactly what you expected you'd be eating the moment you landed in Sydney: The Coat of Arms. It's a half emu, half kangaroo pie topped with bush tomato, capsicum, and cranberries that're still trying to reclaim their early 90s alternative magic. 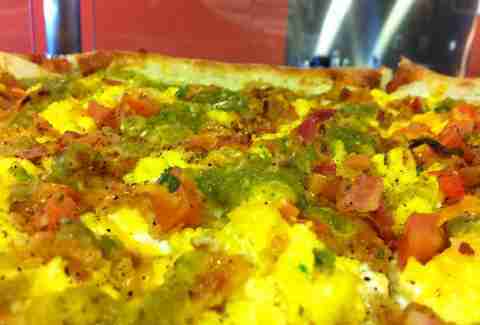 We're not asking what the people behind Boulder CO's Boss Lady Pizza were smoking when they came up with a breakfast pizza loaded with eggs, bacon, fried onions, cheddar, pico de gallo, and salsa verde. We're not complaining either -- we just wish it was a regular fixture on the menu. 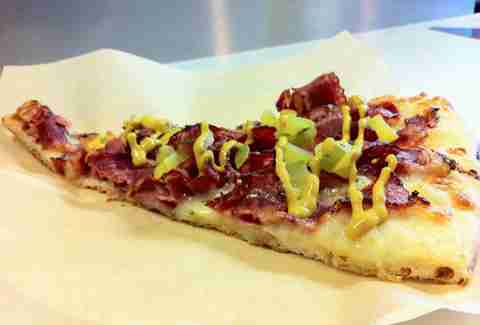 Because no one ever told the folks at Rosemont CA's Rose City Pizza that a NY-style pizza means thin crust, their Bronx Pastrami Pie boasts pastrami, pickles, mustard, and a smug superiority complex over Mets fans. 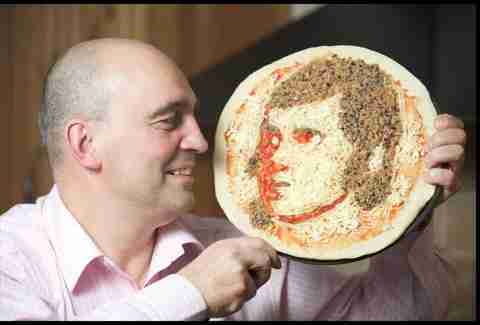 Every year, Scots gather around to drink more whiskey than Rip Torn at a business lunch celebrate poet Robert Burns (depicted in haggis, above) by reciting "Ode to a Haggis". We think this pizza, which is topped with the meatloaf-like product made of sheep's heart, liver, and lungs, is about the best ode there is. Mr. Pizza is a Korean chain with a couple of LA outposts. Their commercials are both fascinating and a little eerie, but there's no denying that their Potato Gold pizza, a sweet potato mousse crust topped with 'shrooms, beef, corn, onions, potato wedges, bacon, nacho chip flakes, and sour cream, is a marvel that proves that not everything done Gangnam-style is annoying. 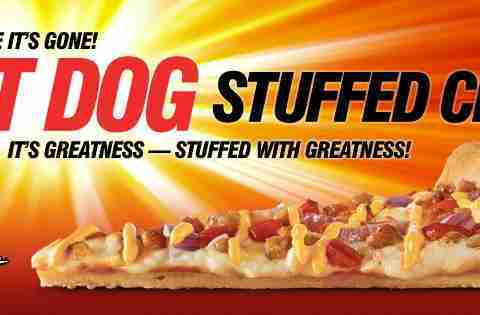 In both the UK and Canada, you can get a hot dog-stuffed pizza from Pizza Hut. Again, you CAN. Not to be outdone, Pizza Hut's corporate brothers and sisters in Japan devised a crust made up of a ring of mini dogs, presumably to cut down on the massive amount of crust kids terrified of getting curly hair always leave behind. 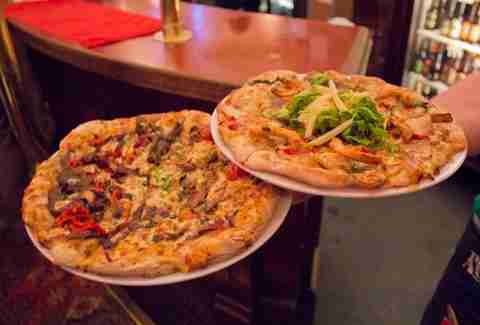 Ian's Pizza in Milwaukee has all sorts of fascinating pies, from chili Frito pie, to mac & cheese, to BBQ ribs, to sweet potato & kale. Besting 'em all though is the Gyro slice, with um... gyro, onion, tomato, and tzatziki sauce; it basically combines two of the greasiest foods on Earth and turns them into one delicious heartstopper.